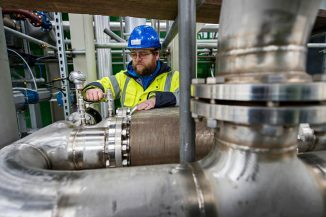 The world’s first grid-scale liquid air energy storage (LAES) plant has opened using technology components developed in partnership with the University of Brighton. Schoolchildren channelled their inner Lewis Hamilton by racing two electric cars at Goodwood Motor Circuit. 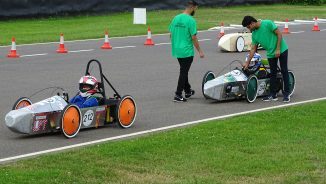 The students built the vehicles themselves at the University of Brighton’s Formula 24 Saturday Club, which has been running since January at the University’s new Advanced Engineering Building. Thirty local school pupils between 11 and 16 were tutored by academics from the School of Computing, Engineering and Mathematics with additional help from student ambassadors. Johanna Harris, Outreach Coordinator at the University’s Moulsecoomb campus, ran the club. She said the schoolchildren picked up valuable skills since starting the course in January: “They have learnt about aerodynamics, automotive and mechanical engineering and experienced working in the university alongside current students. “Huge thanks go to our amazing student ambassadors and engineering technicians who worked so hard to inspire a future generation of budding engineers and racing drivers.